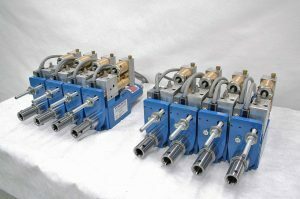 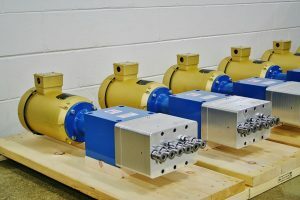 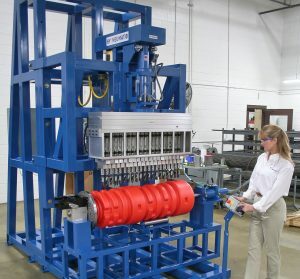 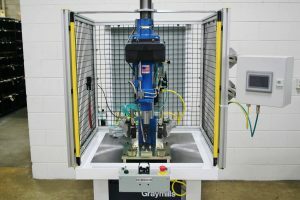 John Weber, Author at Hypneumat, Inc.
Hypneumat’s 200 series quad drilling units are 4 independently controlled spindles integrated into one solid body construction. 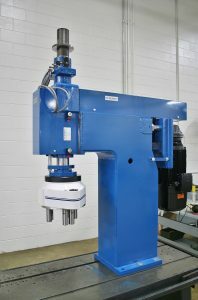 These straight bore spindles are on 3″ centers. 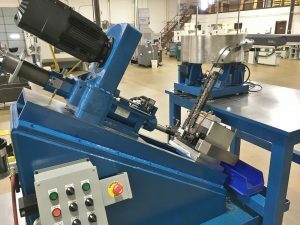 This Hypneumat Lead-Screw Tapping Machine is setup will full controls, an LS36E lead screw tapper, part presence sensors, HMI screen, floating tool holder, machine guarding and light curtain. 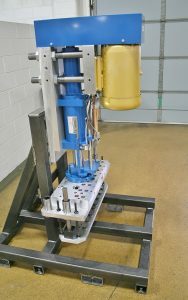 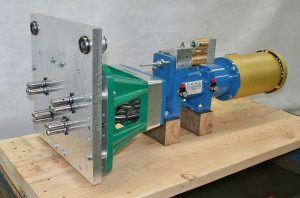 Hypneumat recently built another swaging machine for a local customer’s aerospace application. 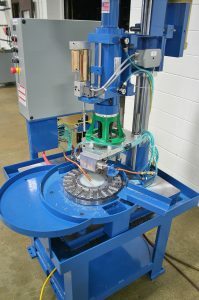 This bench style machine will swag bearings, utilizing a Hypneumat DQ350EHB power feed unit and a Cabco Industries tri-roller tool. 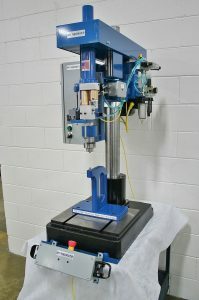 This machine was designed to allow for adjustability of time, force and depth of the swaging operation.